"L‘illumination – douze points. Lighting – twelve points." 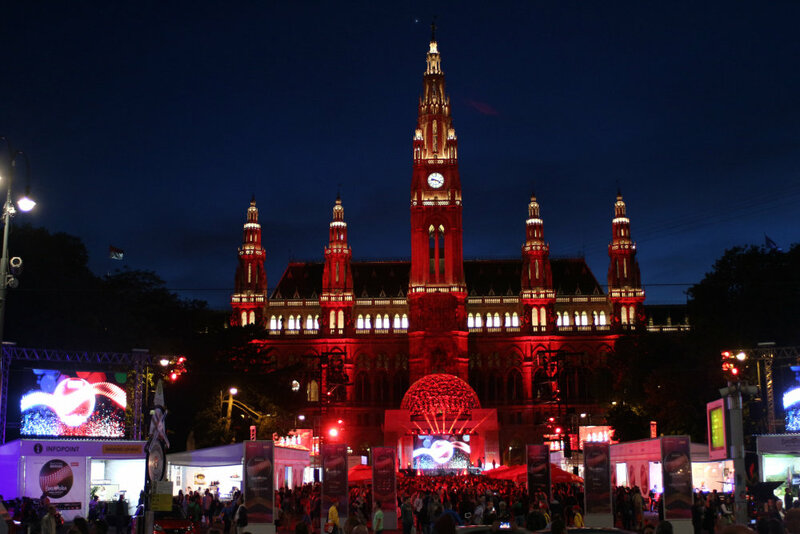 2015 in Vienna the Eurovision Song Contest celebrated its 60th year. Over 200 million TV viewers watched the world's largest TV entertainment event. A central component of the show was the lighting. Every single performance at the Vienna city hall had its own lighting concept and lighting design. 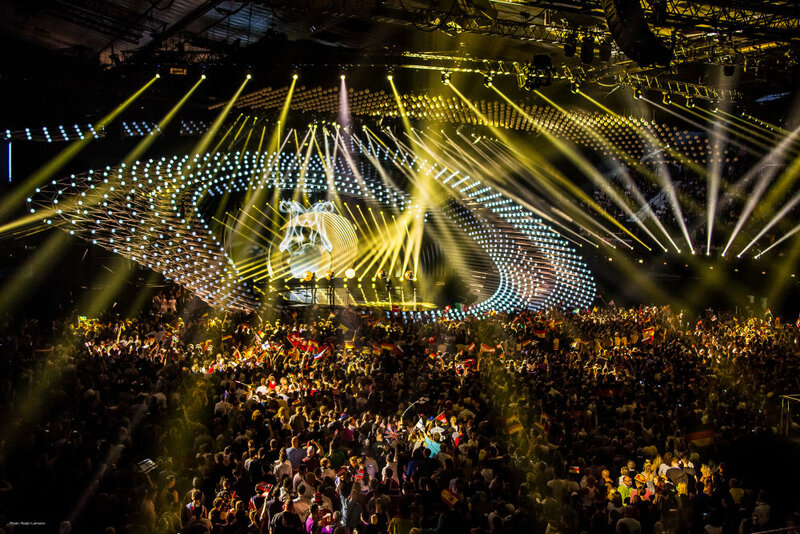 Most of the cutting edge lighting technology was provided by OSRAM and its subsidiary Clay Paky. The stage at Vienna's City Hall hosted a total of 40 individual presentations of breathtaking musical performances. Virtual spaces were created in mere seconds thanks to the state-of-the-art lighting technology. 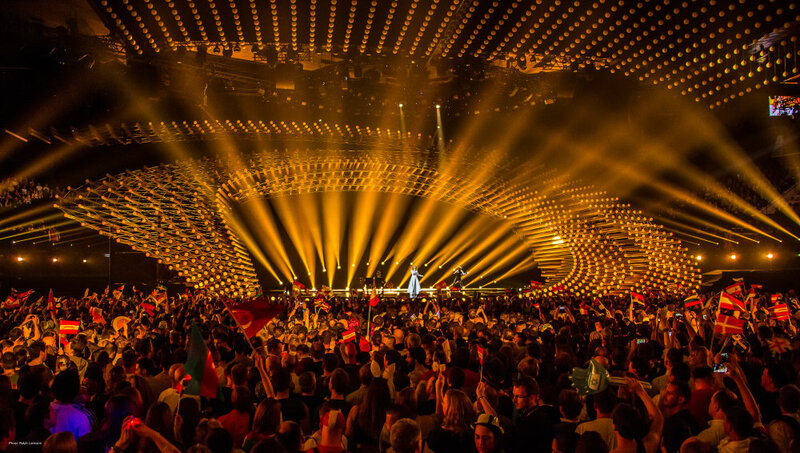 Eurovision fans experienced a glittering party atmosphere full of colours, shapes and dimensions. A first allusion to the digital and interconnected world of light of the future. The lighting performance, together with the song and stage decor, was crucial in determining how popular a show was. 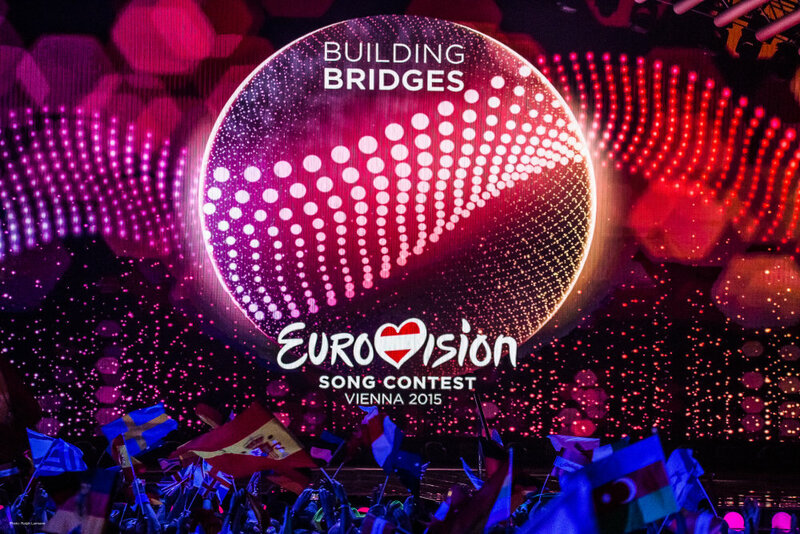 The final of the Eurovision Song Contest in Vienna. Blue lighting intro for the performances. Stage during the opening act. Spotlights all over the City Hall. Clay Paky's "Mythos" to support the singer's message. Fascinated, touched and excited by a big show. At the Public Viewing Party visitors could vote with the app from OSRAM. They judged the current show by selecting one of ten colors each representing a points score, ranging from blue for one point to red for twelve points. All of the App evaluations were then added together in mere seconds and the colour-based average value for all votes illuminated the entire City Hall square, including the City Hall itself – until the lighting changed with the next performance. Red light indicated a vote of 12 points. Big party throughout the week. Although it rained the people stayed in good mood. Medium results for not so winning music. Purple, isn't it? "Purple rain, purple rain .."